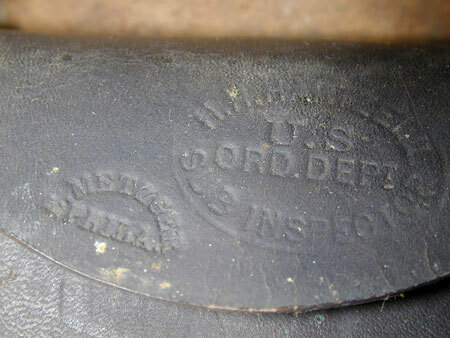 This Civil War Cap Box is in nearly mint condition. 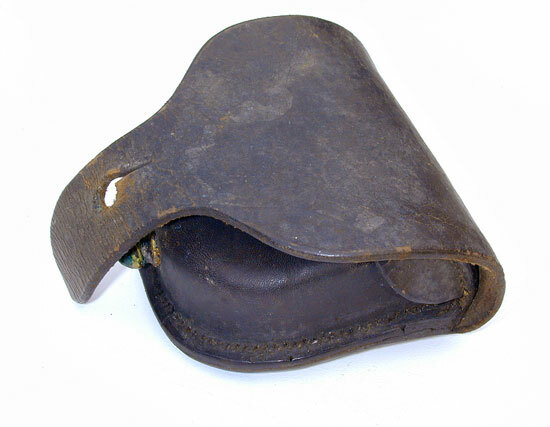 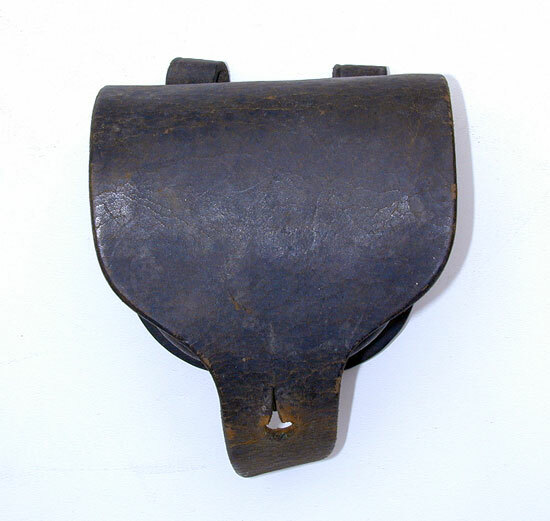 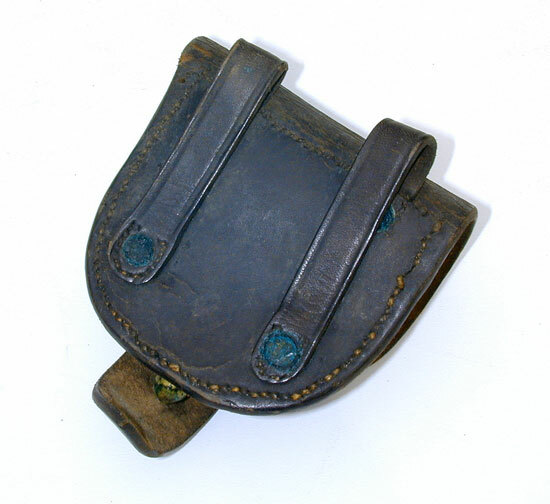 It was manufactured by E. Metzger of Philadelphia who apparently had numbers of contracts for various leather goods used by both the Army and Cavalry. 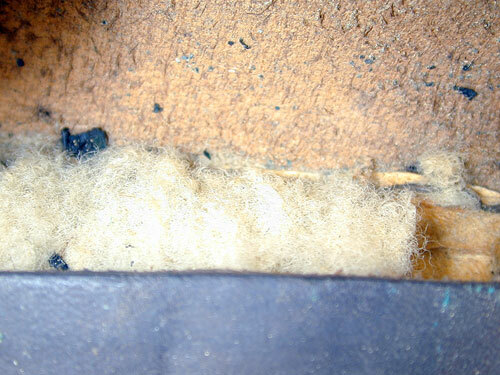 The box also retains it's original wool insert to keep the musket caps in the box from falling out and dry as well.